Speaking of debut albums, here’s one that slipped under our radar. 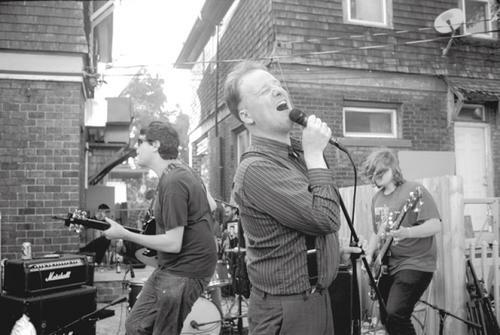 Released just under a year ago, Protomartyr’s All Passion No Technique has been rocking our world in all sorts of ways lately. Internet says these guys hail from Detroit, and you can hear it in their songs. Their road is straight; their gospel is truth. Listen to “Jumbo’s” below. It takes more than a minute for the vocals to come in, but by the time they do, visions of abandoned streets and cold basements are already secured in your wavelength. And the hooks! If nothing else, the hooks alone should be enough to keep you coming back. Lord knows they are for us. It doesn’t look like Protomartyr have any Nashville dates planned for now, but here’s to hoping that changes soon. Pick up the LP from Urinal Cake records here.